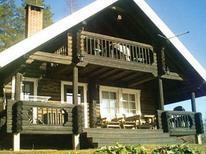 Enjoy the winter idyll in the far north with this holiday home for up to ten people in Lapland. ​Finland | Discover Finland together with friends. These holiday homes have at least four bedrooms and therefore offer plenty of space for several travellers. Houseboat for up to six people on a calm lake in the heart of Finland. 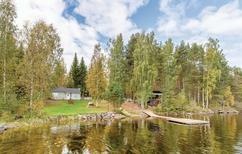 Finland | Don’t just spend your holiday by the water, but directly on it! With your own houseboat that you can steer yourself, you can experience Finland's nature perfectly. Log house for 8 people in the Finnish lake district. Finland | The north European country is well-known for its fishing culture. In this fishing lodge with access to the lake, you can cast your fishing line right from the jetty into the water. 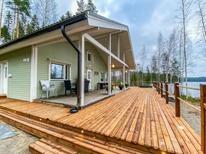 ​Finland | With these holiday houses it is expressly allowed to bring pets so that your faithful four legged friend can also enjoy a relaxing and eventful holiday. Polar lights over a hut for four people in Karesuvanto close to the Finnish-Swedish border. Lapland | In northern Scandinavia winter is the time where one particularly sees a lot of polar lights. With a holiday house in snowy Lapland you will have a good chance of witnessing this natural spectacle. A holiday house in East Finland costs on average USD 801 in the cheap travel period and USD 1,400 in the peak season per week. These details are of course in relation to the house and not per person as well as includes the obligatory additional charges. East Finland is an untouched area of natural beauty. This part of the country is known for its great forests and many lakes which give visitors an opportunity to immerse themselves in nature. Visitors can spend one day kayaking on the lakes and the next exploring the quaint Scandinavian towns. A vacation in a holiday home lets visitors have the most flexibility to explore East Finland while having all of the comforts of holiday homes. 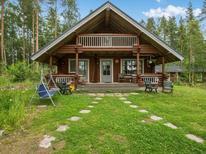 Holiday rentals in East Finland are easy to book – there are many holiday houses and holiday apartments throughout the region for rent. In the colder months, East Finland turns into a winter wonderland. Visitors can stay in a cosy home in the wild, spending their days Nordic skiing though the forest to admire the snowy landscapes and frozen wonderland. After a long day skiing visitors will appreciate the comforts and warmth of holiday homes. Summer in East Finland is a nature-lover's dream. The area is frequently called the Lakeland, and is home to glistening lakes and green forests. 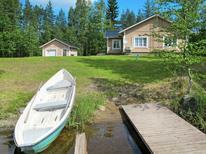 Visitors can boat or hike all day before returning to a relaxing evening at their holiday houses in East Finland. There are many interesting towns in East Finland as well. Kuopio is one of the largest towns and holds many festivals throughout the year, and Tampere is surrounded by water giving it excellent views. Both of these towns have an interesting history and vibrant culture, and are an easy day trip from holiday apartments. No matter the time of year visitors to East Finland will enjoy being outdoors and surrounded by nature.